Beautiful desert landscape photos taken near Las Vegas. Human beings have lived in the Vegas valley for a long, long time. Humans build things as well, - like houses to keep the cold and rain out, and fences to keep their cattle in. I'm facinated by old wooden fences, broken down houses and barns and corals. Rest assured there will be more images to come to this, my "rustic" gallery! 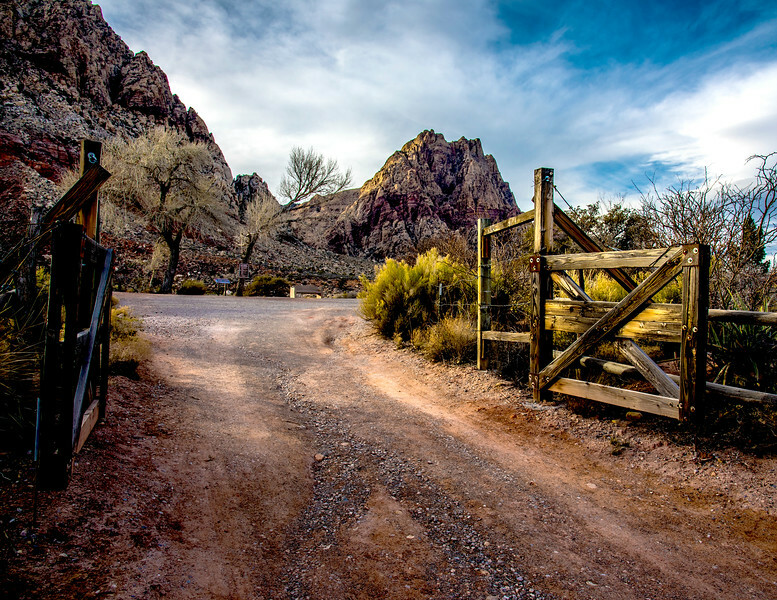 Shot this one at Spring Mountain Ranch State Park, near Las Vegas, Nevada. Old, broken down houses, barns, and wood fences are among my favorite shooting subjects. Great Gate photo... beautiful and inviting surroundings too.